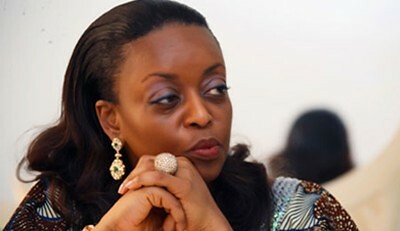 Nigeria Minister of Petroleum Resources Diezani Allison-Madueke. The oil-producing state was hit by a general strike and mass protest in January 2012., a photo by Pan-African News Wire File Photos on Flickr. NIGERIA is set to record a breakthrough in its search for oil mineral resources in the Lake Chad Basin of the North East region of the country. The administration of President Goodluck Jonathan has in the last two years invested N26 billion in this effort. The Minister of State, Finance, Yerima Lawal Ngama, disclosed this in an interview with reporters in Abuja while speaking on the Federal Government’s projects in the zone, particularly in Yobe and Borno states in the wake of the devastation visited on the area by Boko Haram insurgents. He said that the exploration, which had passed the sixth phase out of 12 phases, indicated a high probability of a rich mineral deposit in the area. He noted that the commencement of oil production in the zone would be the best panacea to the insurgency in the zone. The minister who is from Yobe, one of the crisis-ridden states in the zone said that contrary to insinuations in certain quarters, the N2 billion Federal Government’s budget item for intervention in Yobe and Borno states to remedy the devastation by the insurgents in the area did not represent the total sum for the initiative but just a take-off grant pending the proper constitution of a committee to assess the extent of damage. In fact, he revealed that the Federal Government’s intervention in the zone was a five-year plan and not just a 2014 scheme. He said that he would shed more light on the oil mineral prospecting activities in the zone and otherFederal Government’s interventions in the North East zone and particularly Yobe which he said had attracted over 80 federal projects . Still on projects, the minister said : “ This is important because before now, many people have been insinuating that the North East has been neglected in terms of projects, which as far as I am concerned is not true. Some of the biggest projects in the country today are located in the North East. Today, if you talk in terms of road network, the most expensive road in the country is the East-West Road because of the number of bridges and the terrain. The second most expensive road is the Kano-Maiduguri Expressway, and that is in the North East and government has already invested in a 330KVA line to Maiduguri from Gombe. This will ensure that the entire zone has high grid electricity supply . And right now another 132KVA line is to link Damaturu to the northern part of Yobe. This will ensure that we have constant electricity supply. This is a Federal Government’s project . The 330 KVA line has been finished. The sub-station was almost finished before all this insurgency began. Apart from that, government is doing enough in terms of other road networks. We have other several roads in all the states of the North East region. There is no state in the North East that does not have serious Federal Government’s presence or engage in the construction of at least two major roads now. And then we have the Kashimbilla Dam, we have the Daushi Sarkin Dam which is also being constructed not to talk of Mambilla . Mambilla will be one of the biggest projects in Nigeria . On the Federal Government’s initiative in the zone, Ngawa said: “ The President has an initiative for the North East particularly states under emergency rule that have been devastated by the activities of Boko Haram. You know that the insurgency has caused destruction of schools, offices and people’s ways of life. Many people have fled those places and government has been investing a lot and doing a lot to the North East, that nobody can contradict. “ While government is working on the peace initiatives it has to look at the root causes of what is happening. Principally those behind these Boko Haram youths, youths that find themselves in a hopeless situation . And if we don’t have hopeless youths they may find it difficult to recruit. The fact that they found a fertile ground in hopeless youths, that makes it easier for them to recruit people. And therefore, while peace is being restored government also has to work to alleviate the economic condition of the people in the North East especially the youth, the women and those people who you can say are commoners: people involved in one craft or another to try to ensure that they have a decent living . They can earn a decent income and this will help prevent such kind of unfortunate situation. “While government is working on this , the President and his team thought it necessary to come up with a kind of intervention . The President visited both Borno and Yobe early this year and in the discussion he had with the people of Borno and Yobe everybody talked about massive intervention in the unfortunate situation these two states find themselves, in particular Yobe . Because if you look at all the development indices you find that the states are completely at the base and therefore government has to come to their aid not only to restore the schools that have been destroyed but they must try to make sure that they have a cushion life and that’s why the Federal Government thought of the initiative in those states. We are putting a committee in place. In fact, I wrote to the Head of Service to find somebody who is very competent, somebody who has experience in this kind of intervention to come and serve as the secretary of that initiative. I am yet to receive a response. However, we have a small committee and contact group, we are meeting with all the multilateral agencies and other development partners. Of course, they too have interest in assisting towards bringing economic prosperity to these areas. “ This is a programme that is being conceived over time. Nobody has said that this is a 2014 programme. In fact, the programme is just taking off in 2014. The committee will be put in place in earnest in 2014 when the Head of Service has nominated a secretary. Nobody said all the Federal Government is doing in the North East is N2 billion. That’s wrong. Nobody said that. You have seen a budget line and you saw N2 billion for North East intervention, if you don’t understand come and ask us in the Federal Ministry of Finance and we would tell you what it is and give you the details and the arrangement. Right now, many parts of Adamawa Borno and Yobe, you can’t go. So how can you determine how much is required to intervene? Some local governments in Yobe, you can’t go. Is it even the right time to even go and assess? Of course we know a lot has been achieved but we hope that within this year, we can get to a point where everything will be normalised and people will go to assess the extent of damage and what is needed in terms of intervention in education, intervention in health care, intervention in water supply and all those things .